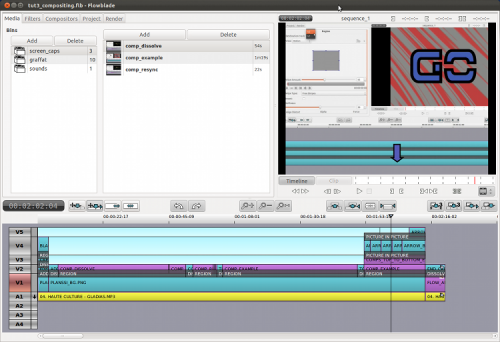 Flowblade Movie Editor is a multitrack non-linear video editor designed to provide a fast, precise and as-simple-as-possible editing experience. This simple tutorial will show your how to install it in Ubuntu using PPA. Hit Ctrl+Alt+T to launch a terminal window, copy and paste following commands and hit enter to run. No user responded in " Install Flowblade Movie Editor in Ubuntu 12.04/12.10/11.10 "